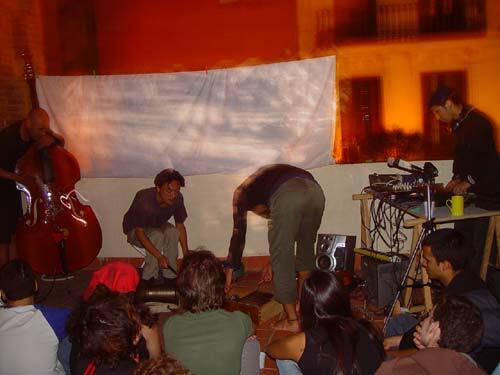 Joystick organized a concert of the Japanese band Cinema Dub Monks on a terrace in the neighborhood of Gracia in Barcelona the 27th of September 2002. 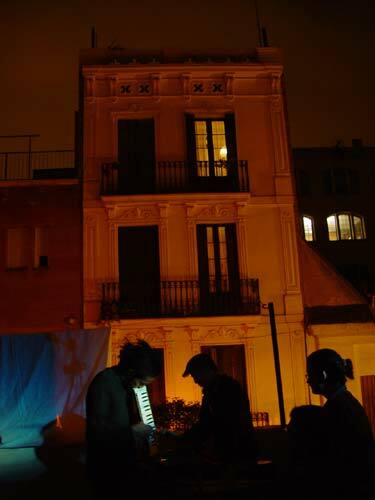 The quartet consisting of flute, acoustic bass, percussion and sampler, integrating various style (hip-hop, jazz, dub, brazil and tango etc) into their music and visual performances. 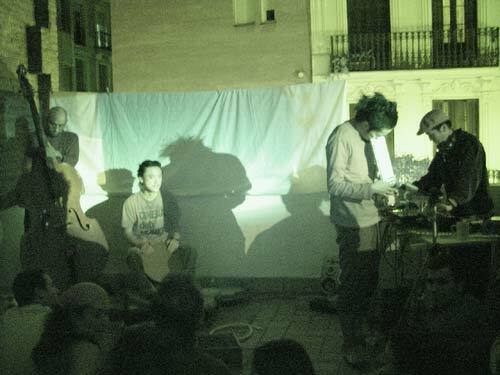 Their music is created between noises and visual images. Their method tells a story through the whole live performance. 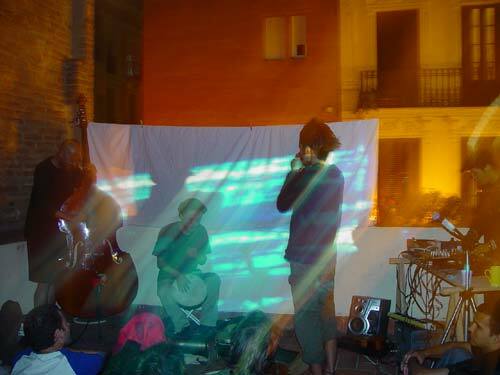 As a special guest we had Pancho Tolchinsky after the music show projecting his slides.